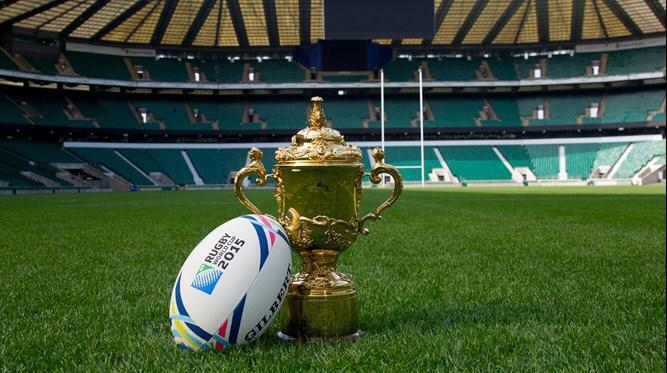 After six weeks of awe-inspiring rugby just two sides remain with the opportunity to get their hands on the Webb Ellis trophy. Antipodean rivals Australia and New Zealand go into Saturday’s final, both sides with the chance to create history by becoming the first nation to win three Rugby World Cups. For New Zealand, greatness awaits as they look to become the first country to win successive Rugby World Cups, while Australia will look to avenge their semi-final defeat of four years ago to win their first Rugby World Cup in 16 years. A fitting final between the two best sides at this year’s tournament. Reigning champions New Zealand have gradually grown into the tournament, with the All Blacks having shown the varying sides to their game in the two knock-out matches. Having swept aside an awful French side with a performance full of attacking swagger, Steve Hansen’s side won their 13th consecutive World Cup match by battling past a determined South African side in the semi-final, with the All Blacks showing that as well as entertaining their legions of fans with their attacking skills they are also capable of winning ugly. With legendary figures Dan Carter and Richie McCaw seemingly playing in the Silver Fern jersey for the last time, their team-mates will be desperate to make sure the two of them bow out as world champions. With world-class performers to come off the bench in the likes of Sonny Bill Williams, Beauden Barrett and Sam Cane, there seems no weaknesses in this current All Blacks side with the varying nature of their performances in their last two matches, suggesting that it is a tall order for Australia to beat a side that at this moment in time look unbeatable. However, if New Zealand are going to defend their title they will need to get past an Australia team that have been the top performers at this World Cup. Having overcome Fiji, England, Wales, Scotland and Argentina, to get to the final, the Wallabies come into the final battle-hardened having beaten some of the best sides in the tournament to get to this stage. From their brutal dismantling of the hosts to their backs-to-the-wall defensive efforts against Wales and Argentina, Michael Cheika has transformed an Australian side who little over a year ago looked a shambles. The decision to bring back in the foreign-based duo of Matt Giteau and Drew Mitchell has seen the Aussies show a more clinical edge in attack with nine tries scored in their two knockout matches, while the back-row trio of Fardy, Hooper and Pocock have been instrumental in leading the defensive charge with their sterling work at the breakdown proving particularly effective. When you also throw in the significant improvements seen from the likes of Scott Sio in the scrum as well, it is hardly surprising that Cheika’s side have stormed into this year’s final. Despite that with both Scotland and Argentina rueing missed opportunities in their matches against Australia that would have swung the games in their favour, Australia will know that the All Blacks are unlikely to pass up those types of opportunities and therefore will need to be at the top of their game in both attack and defence. With so many tantalising match-ups from Pocock versus Read, to Mitchell versus Savea it is extremely difficult to pick out just two individual match-ups that will be key to winning this final, but these are the areas where I believe the game will be won and lost. The unsung heroes of rugby teams, the blindsides. With both players used to seeing their fellow back-rowers grab most of the attention it can be easy to overlook the influence of two players who are probably the best in the world in their positions. One of Australia’s most consistent performers throughout the tournament, Scott Fardy has been in imperious form and with Pocock and Hooper, has been crucial in dragging Australia into this final. Fardy has excelled as part of a dominant Aussie pack with his tackling allowing both Pocock and Hooper to come in and steal turnovers, while his ball-carrying has provided Australia with a real edge up-front. A try-scorer in the semi-final victory over the Springboks, Jerome Kaino has been equally effective as Fardy for his team with his relentless energy around the park. A world-cup winner in 2011, Kaino is an experienced member of this New Zealand team, with a dazzling array of handling skills – as seen in the semi-final – to go with his renowned physical strength. A titanic tussle between two giants. Two hugely-experienced players both with over 100 caps for their country, the two centres’ influence has been crucial in guiding their respective nations to the finals. Having been brought back in from the international wilderness by Cheika, Giteau has repaid his coach’s faith with a number of dazzling performances particularly against the English and the Scots. One of the most intelligent backs in the game, Giteau’s calmness under pressure has unleashed an exciting Aussie backline, who have ran in tries for fun throughout the tournament. A greater physical presence than Giteau in the centre, Nonu has proven equally important to his team. A player renowned for his power, it is Nonu’s deceptive handling skills and pace – often overlooked – which have made him one of the best centres in the world throughout his long career. Like his opposite number Nonu’s intelligence on the ball is pivotal for his side as seen last week with his expert timing of the pass putting Beauden Barrett in the corner for the crucial score in a tight match. With both players likely to be playing in their last World Cups, expect no quarter given between two of the game’s all-time greats. So with just under 48 hours to go before the big match, excitement is starting to build as we await the outcome of another chapter in this historic sporting rivalry, as Australia and New Zealand meet in a Rugby World Cup final for the first time, to determine who will be crowned the winners of Rugby World Cup 2015.